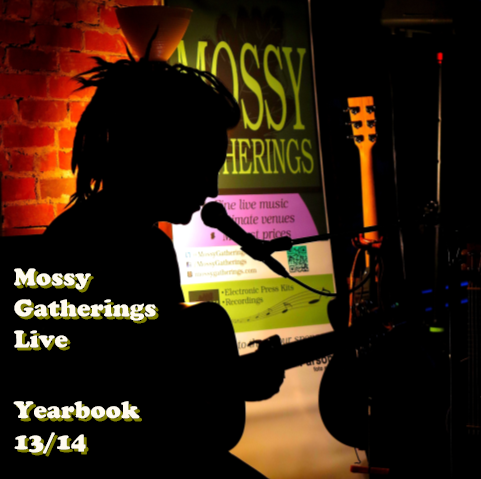 MOSSY MUSIC IS A DIVISION OF MOSSY GATHERINGS. THROUGH THIS LABEL, ELECTRONIC PRESS KITS (EPK'S) AND RECORDINGS ARE CREATED AND PUBLISHED. This CD is not available at this time. The Album will be re release in the coming weeks. This album features Amy Tourlousse and her brother-in-law Joel Gray. All the songs were written by the collaboration of both of them. Multi-instrumentalist Amy on the accordion, guitar, washboard, and kazoo and vocals with Joel on Guitar will bring the listener joy while listening to the unique sound. This live album serves as a yearbook reflecting on the great times shared by all who conributed to this project. Musicians, venues and audience members please enjoy this compilation. Keep the Love. Live the Music. Any profits from the donations for this CD will be given to the Womens' Shelter in Owen Sound.